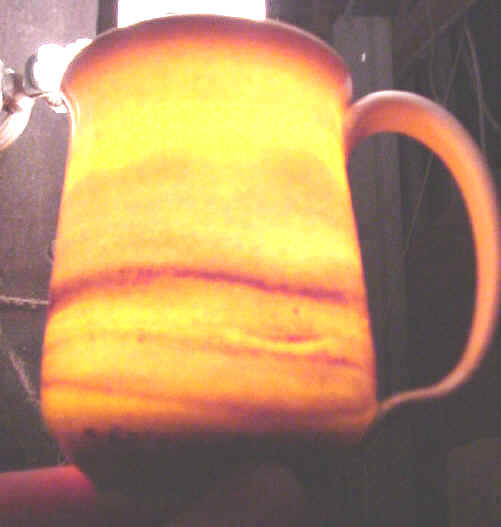 The wheel thrown mug pictured above is the standard Alfred recipe porcelain using Moose Creek Feldspar, fired cone 10. Notice the degree of translucence and the ease of forming even this thin. The yellow color is due to the light bulb. 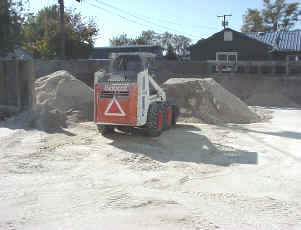 purity Moose Creek high potash feldspar for the pottery market and allow full scale testing by interested users. 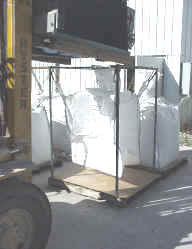 The samples will become available as soon as the pilot run has been returned to Lewiston for packaging. 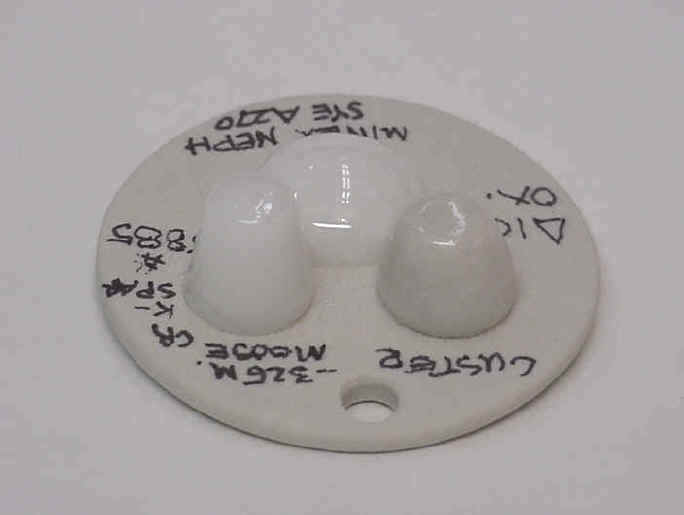 Above are three fusion buttons which are : Moose Creek 325 ( l.), Minex A270 Nepheline Syenite ( c.) , Custer ( r.). offer a stiffer, more slump resistant glass for the production of porcelain. 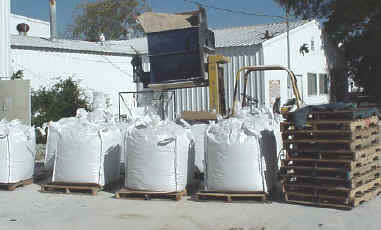 Above is the 40 ton pile slated to be loaded into the bulk bags for transport and above is the bagging setup in use. 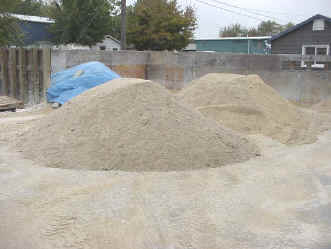 Here is the 40 ton pile now half in the bulk bags and nearly ready for shipment to be processed in North Carolina..